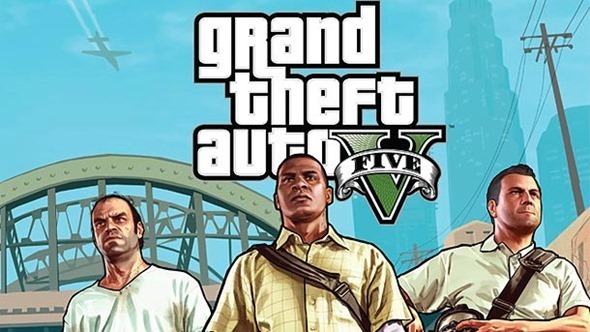 Grand Theft Auto 5 will undoubtedly go down as one of the biggest gaming titles of last year. Rockstar Games released the title amidst unprecedented levels of excitement, with content and sales figures managing to not disappoint either publisher or consumer. Thus far, it’s only been console owners who have been able to get in on the crime laden action which GTA 5 represents. However, that might change really soon, after online retailer Amazon inadvertently let the cat out of the bag, pretty much confirming recent speculation regarding an imminent GTA 5 for PC release. Amazon may be one of the Internet’s largest retailers, but that doesn’t mean that they are infallible and exempt form making the odd gaff here and there. This latest mishap could end up with an Amazon employee getting his or her wrists slapped after a pre-order page for the PC port of last year’s biggest game went live on Amazon Germany. We haven’t heard any official news from Rockstar Games about a Windows version, but it has been on the cards as well as in the back of everyone’s mind after Rockstar Leeds in the United Kingdom advertised for a vacancy that required "PC porting skills" as a must-have quality. The protagonists within Grand Theft Auto could renounce their criminal ways and turn to charity work before Rockstar come forward with an official statement. Thankfully, the French and German Amazon teams aren’t being so shy when it comes to promoting the desktop variant of the game. Amazon acted promptly in removing the listing from the French version of its site, but at the time of writing, the German listing is still active. The PC port of GTA 5 is listed as a pre-order for EUR 59,99 with no release date offered, official or otherwise. The fifth iteration of the hugely popular Grand Theft Auto series managed to smash sales records when it was released in September 2013. Reports prior to the launch suggested that Rockstar Games had produced the most expensive title in gaming history, a figure that paled into insignificance after excited gamers parted with more than $800 million in first day sales. Grand Theft Auto 5 may have already paid for itself and then some, but we’re pretty confident that a PC version will add a whole lot more to the coffers.